The most hydrating moisturizer Murad has ever offered. Gentle enough for sensitive skin, this non greasy, velvety formula provides all-day moisture, all-day smoothness and all-day comfort, leaving skin perfectly polished. Ultra-concentrated, silky moisturizing cream offers immediate and long lasting hydration providing positively radiant skin. Retinyl Palmitate and Shea Butter improve texture and while restoring natural smoothness and softness. Collagen Support Complex boosts skin’s resilience and plumps dehydrated skin. 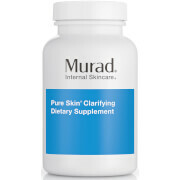 I recently moved into a much cooler climate and my skin suffered, a Dermatologist recommended i tried Murad and I have never been so thankful! Really seeing the difference in my skin after only 1 week of using it! This cream locks in moisture for at least eight hours and is nongreasy. I bought this moisturizer to overcome the dry skin during for winter season. I had run out of my other lighter moisturizer over the summer so I started using Murad. I was surprise as to how well it did specially on warm days. It doesn't clog my pores and it doesn't feel heavy and it doesn't grease my face. So now I use it year round. Would be great if it included sunblock. I have extremely dry skin and this product is the best I've found at soothing the tight, parched feeling my face can have. It is very heavy but it absorbs quickly and doesn't leave a sheen like some of the face oils I use can produce. I think it's a bit pricey but you don't need a lot. My only complaint is that I wish the container was a tube because I don't like dipping my fingers in the pot and trying to avoid getting lotion under my finger nails where it will be wasted. I have bought this over and over again!! 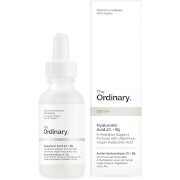 I'm in my 40's with dry skin and this moisturizer works alone or over facial oil. No fragrance makes this one a keeper too!! It's not greasy, and makes my skin feel great. This product requires only a small amount to be effective; so it is priced well. It is very, very thick. Yet not greasy. It does moisturize well and doesn't clog my pores. However it has a "matte" feel once it dries, which is weird for me. I have to use another product on top of it (Clinique Moisture Surge) to apply my tinted moisturizer. This product doesn't have the dewy finish I like in a moisturizer. I like my moisturizers to be fragrance free without the chemical smell, and this fits the bill. The facial cream melts on my skin without greasiness. I would highly recommend this, I'm already seeing improvements after a week of use. I have combination skin, leaning towards dry. 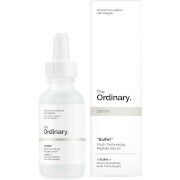 I love this product--great for the price. Never feels heavy or greasy, just the right texture. I have used products that as soon as you put them you think omg do I really have to endure this to help my skin--not so with this product. It's wonderful and I love it. Makes my skin look fresh, evens out skin color. I love it! I'm 55 with very dry skin. This product is very, very close to being as good as La Mer at 1/3 of the price!